YACOUBA has just revealed this 'FELINE One' concept bike. 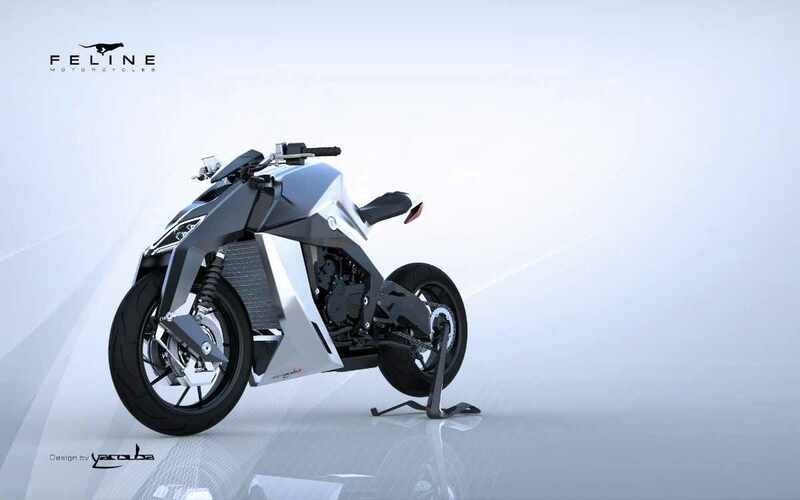 According to a release, the bike uses an 801cc three-cylinder engine making 170hp through a six-speed gearbox. It features a titanium exhaust and carbon fibre wheels with a 120/70 tyre at the front and a 200-section tyre at the rear. Carbon fibre is also used to make the swingarm, fairings, girder forks and part of the frame. The Feline One has a claimed dry weight of 155kg and a leather seat that sits 808mm off the ground. Yacouba says the Feline is planned for release in 2016 in limited numbers with prices starting at $280,000 (£184,000).